Oh my goodness what a week! We got back from California Tuesday night and the next week of the Game started on Wednesday. Wednesday while I was at work I got a phone call saying that my girlfriend and our dog had been in an accident and that I needed to go to the hospital. Let me tell you that 20 minute drive was the longest 20 minutes of my life! The next few days were a whirlwind of trips to the hospital, doctor appointments and vet appointments. My life was turned completely upside down. It is things like this that make you realize what is important and what really doesn't matter and let's be honest the things that we stress about, get upset about, or think about on a daily basis usually are not that important. I am blessed to have an amazing family and group of friends but let me tell you everyone went out of their way to help us this week. Between dog sitting while we went to doctor's appointments, bringing us dinner, and just calling to check on us - I can't ever thank them enough for the help and support. To be completely honest the game was the absolute last thing on my mind. This week was more about going through the motions and making sure everything got done that needed to get done. I found that I was following the rules and doing what I was supposed to do but my heart was not in it at all. Honestly, all of the rules and tasks felt trivial and tedious compared to everything else that was going on. I felt very frustrated and conflicted with the whole thing this week. On one hand I was so distracted by what was going on in my life that that I was annoyed by the game and on the other hand I knew that my teammates were counting on me. In the end I stuck with it, earned my points, and saw some movement on the scale in the correct direction. It was nice to say that at the end of the stressful week I had done that much. But what was more important is that at the end of the week everyone was ok - far from 100% ok but ok nonetheless - and for that I am truly grateful. How do you handle unexpectedly stressful situations? How do you remind yourself what the really important things are (i.e family, good health, etc.) on a day-to-day basis? 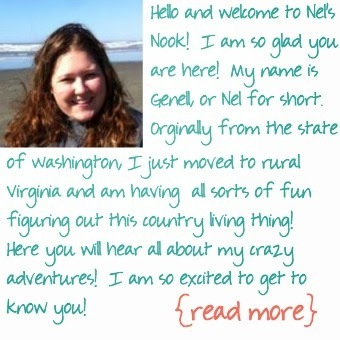 Follow Nel's Nook on Facebook or follow on Google+ - I would love to hear from you!